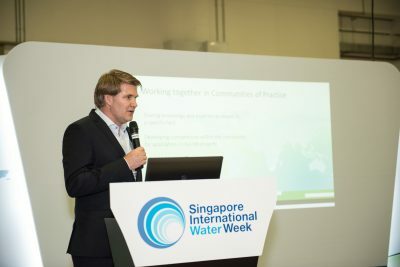 Watershare has launched its first Watershare Community of Practice, which is dedicated to Emerging Substances, at the Singapore International Water Week. 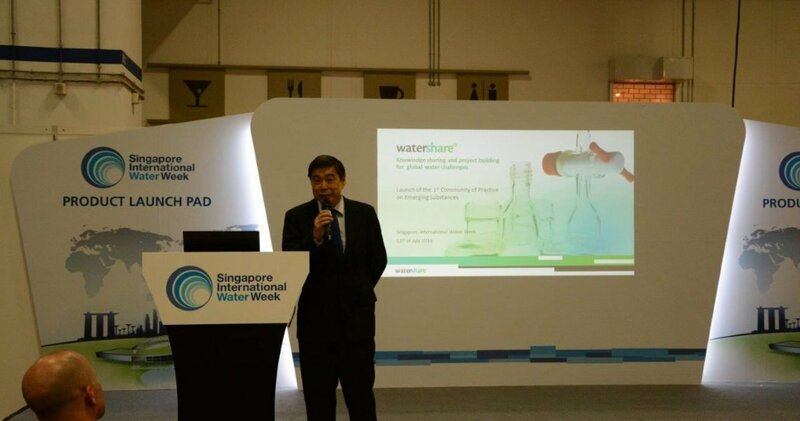 Prior to the launch, on 8 and 9 July, the Watershare members held a workshop in Singapore, which was hosted by PUB. During the official launch of the Community of Practice Emerging Substances, the results of the workshop were explained by the participants and the four work packages were presented: Analytical methods and lab facilities; Implementing the AbatES tool; Sharing experiences on microbial and chemical risk assessment; and Prioritization schemes for Emerging Substances. Within Watershare, 17 members, all internationally respected research institutes, share their knowledge and experience in the form of tools: methods and models of proven value in water practice. These tools are made available via the online Watershare Suite. The Watershare Suite currently contains 23 tools for application in areas such as water resources, water treatment and distribution, water quality and health, and sustainability. The research institutes can apply these tools with and for their end-users, such as water companies, utilities, municipalities and waterboards. The Watershare tools contribute in this way to an effective water provision in countries all over the world. 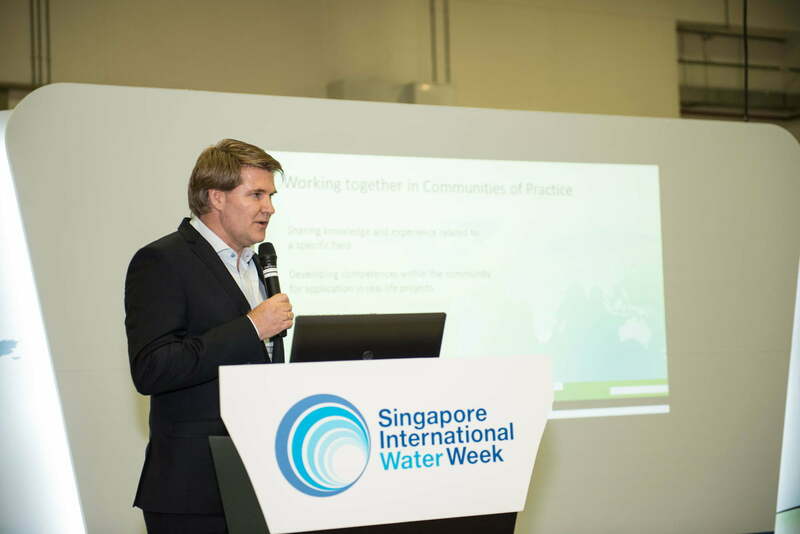 Watershare members and their end-users work and gather together in international Communities of Practice to address specific challenges facing the water sector. They all sense the urgency of the issues concerned and the (potential) impact they can have on their own water sector. This is why they share their knowledge and apply it to joint research projects. They learn from and with each other about how to deal with these challenges. The diversity of members, of their backgrounds and consequently of their input enhances the strength of the Community of Practice, which is based on trust and commitment. Dr Lim Mong Hoo, Chief Specialist (Water Quality Office) at PUB Singapore, declared that his organisation was very happy to host the 35 members from 6 countries of the Community of Practice Emerging Substances. ‘This initiative serves the common interest of the scientific community, regulators and the water sector,’ he said. Annemieke Kolkman, researcher and manager of KWR’s chemical laboratory, expressed her enthusiasm about the possibilities of using the Watershare platform to share experiences and learn from each other; for example, by comparing (analytical) methods and instruments. KWR’s researcher Thomas ter Laak stressed the importance of jointly collecting data about the occurrence of the most relevant and threatening emerging substances in the watercycle. 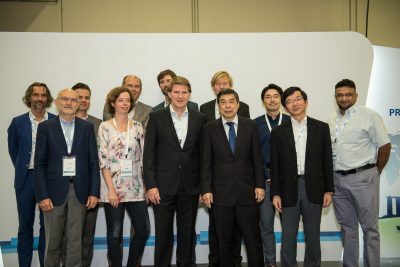 Front (left to right) Mr. Luc Keustermans (De Watergroep Belgium), Mrs. Annemieke Kolkman (KWR The Netherlands), Mr. Idsart Dijkstra (KWR), Dr. Mong Hoo Lim (PUB Singapore), Mr. Minoru Tanaka (JWRC Japan), and Mr. Jay Bhagwan (WRC South Africa). 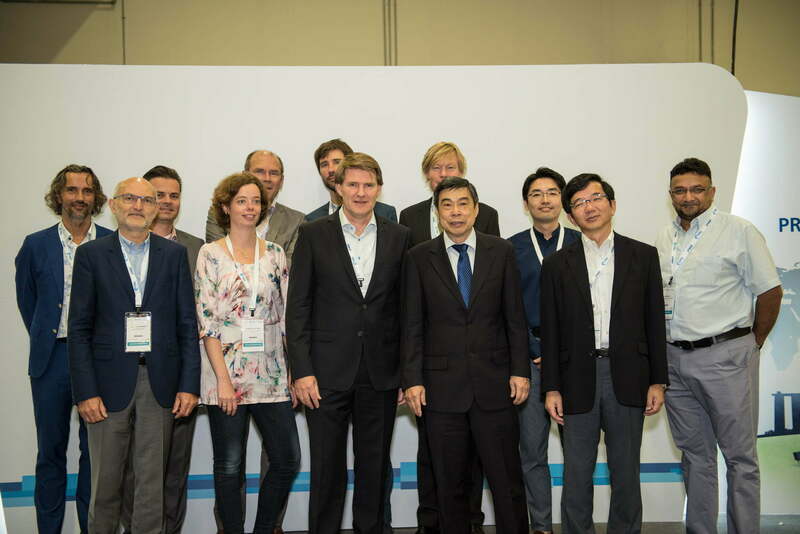 Back (left to right) Mr. Patrick Smeets (KWR), Mr. Bendert de Graaf (Vitens The Netherlands), Mr. Rick Thijssen (Vitens), Mr. Thomas ter Laak (KWR), Mr. Bram Martijn (PWNT The Netherlands), and Mr. Kangwoo Cho (KIST South Korea).